The only way to know for sure whether or not you need a dental crown is to schedule an appointment with your dentist. Dental crowns are advanced restorations used to repair teeth following significant decay or damage. They fit completely over the top of the tooth to replace the lost structure and renew function. In order to preserve the maximum amount of tooth structure, we’ll only recommend dental crowns when more conservative treatments like tooth colored fillings are inadequate in repairing dental damage. During a treatment consultation, a dentist will examine your smile, capture diagnostic x-rays and images, and help you determine whether or not a dental crown is your best treatment option. Comments Off on How do I know if I Need a Dental Crown? Congratulations! With help from The Dentists at Orenco Station, you have rebuilt your healthy and beautiful smile with dental implants. You may know that your implants take the place of both the root and crown of a missing tooth. The implant portion is embedded in your jaw and the attached restoration—a porcelain crown, bridge, partial or full denture—is what shows. Properly cleaning your implant supported teeth replacements is just as important as cleaning your own natural teeth. If you have dental implants, Hillsboro dentists Dr. Brandon Kearbey and Dr. Malinda Kearbey have some advice on how to maintain optimal oral health with proper cleaning. So you’ve got a problem tooth, and you think it may have a cavity — but how can you know for sure? Your dentist in Hillsboro shares the top signs you’re suffering from a cavity, how we’ll fix it and and what causes cavities in the first place. Keep reading for vital oral health information from The Dentists at Orenco Station! If a picture paints a thousand words, then your smile speaks volumes. It can send an unspoken message of friendliness, confidence and joy. Unless, of course, you’re embarrassed by your smile and tend to hide it. In that case, the message isn’t sent and certainly not received. To reveal your beautiful smile, Dr. Brandon Kearbey and Dr. Malinda Kearbey at The Dentists at Orenco Station in Hillsboro, OR, may recommend permanently hiding your teeth behind porcelain veneers. When most people think of orthodontics they visualize a mouthful of metal brackets and wires that are in place for years. Fortunately, the art and science of straightening teeth has dramatically advanced. Today there are clear braces that are practically invisible and that can realign a crooked smile in as little as one year. Dr. Brandon Kearbey and Dr. Malinda Kearbey in Hillsboro, OR, have used ClearCorrect invisible braces to give many of their patients enviable smiles and they can do the same for you! Missing teeth can be a real drag for your mouth. It just feels weird. If you do have missing teeth, you probably find yourself dragging your tongue through the open area where a tooth used to stand. A missing tooth is nothing new for our office. We’ve treated many patients who’ve dealt with missing teeth throughout their lives. We hear the same thing from our patients regarding missing teeth and how it keeps them from smiling. This is simply no way to live. Smiling, just like laughing, is highly contagious. We understand why anyone with missing teeth would want to hide their smile, but there are ways to bring that same smile to full beauty. 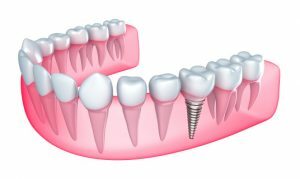 Dental implants are excellent choices for patients that are suffering with missing teeth. It isn’t just the appearance of your smile that is at risk, your oral health is, too. Open spaces can lure bacteria in and keep it there for a long time. The longer bacteria sticks around, the greater a chance of an infection. Our office in Hillsboro, OR offers dental implants for all patients that want to do something about their missing-tooth problem. 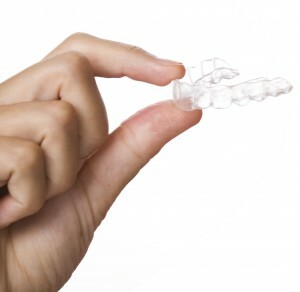 It’s tooth replacement Hillsboro residents can receive for their missing teeth. Periodontal disease in Hillsboro, OR and across the United States is marked by red, swollen, pus-filled gums that pull away from tooth roots. Most commonly caused by poor dental hygiene, millions of adults suffer from this devastating but treatable oral infection. The Centers for Disease Control (CDC) estimate that approximately half adult Americans over the age of 30 have periodontal or advanced gum disease. Characterized by red, swollen, bleeding gum tissue, periodontitis leads to tooth and bone loss and also to systemic conditions such as diabetes, heart attack, asthma and more. Gum disease is caused by a variety of factors, including poor dental hygiene. When brushing, flossing and professional cleanings are neglected, sticky, bacteria-filled plaque forms on teeth and below the gum line. Left untreated, the plaque quickly turns into rock-hard tartar, creating infected pockets in gum tissue. Pockets measuring more than 5 mm indicate advanced periodontitis and need dental attention before teeth loosen and are lost and before jaw bone is destroyed. In addition, other factors play into gum disease. Heredity is one of them. If family members tend toward gum issues, you may develop them as well over time. So, it’s important to alert your Hillsboro, OR dentist to your medical history, including conditions that seem to run in the family. Another common culprit is tobacco use. Centers for Disease Control (CDC) research pegs cigarettes, cigars, and chewing tobacco as loaded with toxins which destroy gum tissue. Smoking steals vital oxygen and other nutrients from the mouth, making it prone to gum infection. Combine tobacco with other risk factors such as obesity and poor diet, and periodontitis is the result. What can be done about Hillsboro, OR periodontal disease? Doctors Brandon and Malinda Kearbey desire great oral health and overall well-being for each of their patients. They believe excellent preventive care keeps teeth and gums healthy so their patients can keep their smiles for their entire lives. If it’s been a while since you had a hygienic cleaning and dental check-up, please call The Dentists at Orenco Station today to arrange a convenient appointment. Your oral health is too important to neglect. According to multiple studies and extensive research, people with straight, white teeth are considered more attractive and more personable. In addition, when questioned, more than half of Americans reported that a beautiful smile made its owner seem more charismatic, friendly, intelligent, and successful. If your smile is less than perfect and you’re ready to make a new kind of first impression, consider porcelain veneers. At The Dentists at Orenco Station in Hillsboro, OR, Drs. Brandon and Malinda Kearbey offer a wide range of cosmetic dentistry services, including porcelain veneers. If you are unhappy with what you see in the mirror or in photographs of your smile, don’t hesitate to take the first step toward a revitalized appearance with porcelain veneers. Our patients love the confidence that comes with the ability to smile whenever and wherever they like without fear of embarrassment. Finally, you can show off your pearly whites knowing that your smile is absolutely stunning. Discover the dramatic difference that porcelain veneers can make in your smile and in your everyday life. Contact our office today to schedule your visit with Dr. Brandon Kearbey and Dr. Malinda Kearbey. Our state-of-the-art dental practice in Hillsboro, OR warmly welcomes patients from throughout communities in the surrounding areas of Rock Creek, Cornelius, Forest Grove, Beaverton, and beyond. We genuinely look forward to helping you love your smile.